Research consistently shows that consumers shopping for homes are impressed when a home has energy efficient features. After all, that can save money for as long as you own the home. But some energy efficient features are more attractive than others. A new Zillow analysis has found that homes equipped with solar panels sell for 4.1 percent more on average than homes without them. A new breakthrough in solar energy has the potential to make it cheaper and more viable as a source of renewable energy, according to researchers at Lund University and Uppsala University in Sweden. Historically, developing solar energy cells was a fairly expensive process because they needed to use an expensive metal called ruthenium in order to adequately capture sunlight and convert it into usable energy. Unfortunately, attempting to replace this expensive material with a more usable one proved to be a challenge. "Many researchers have tried to replace ruthenium with iron, but without success. All previous attempts have resulted in molecules that convert light energy into heat instead of electrons, which is required for solar cells to generate electricity," said Villy Sundström, Professor of Chemical Physics at Lund University. Luckily, researchers have found a way around using ruthenium. The technique behind the breakthrough involves using nanostructured titanium dioxide and a dye that can be applied to solar energy cells to capture and convert energy without losing it through heat. These new materials will finally allow scientists to use iron and lower the cost of making the power cells. This will undoubtedly lower the cost of production, which is a huge step towards making solar energy more marketable. “The advantage of using iron is that it is a common element in nature. 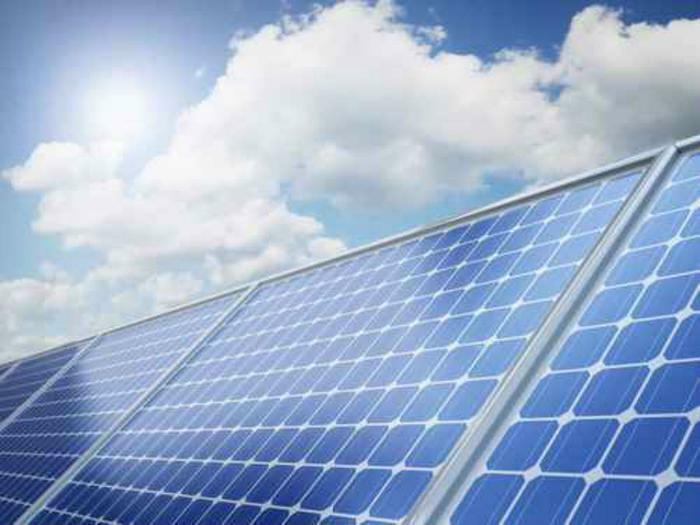 It can provide inexpensive and environmentally friendly applications of solar energy in the future,” said Kenneth Wärnmark, Professor of Organic Chemistry at Lund University. In addition to furthering research on solar energy, the breakthrough also holds promise for solar fuels – an area of development wherein the sun is used to turn water and carbon dioxide into energy-rich molecules. The full study has been published in Nature Chemistry. Rhino poaching has become more widespread in recent years, and it is pushing many species to the brink of extinction. Poachers target these animals because of the demand for rhino horn in Asian countries; the horns have practical medical uses, but many people collect them as a status symbol to showcase their success and wealth. Luckily, a new technology that plants a camera and other technologies inside of the rhino horn may act as a strong deterrent to poachers so that rhino lives can be saved. 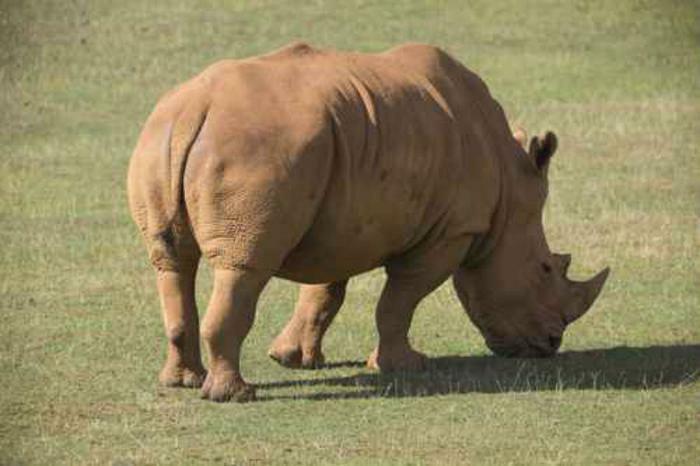 At the beginning of the 20th century, rhino populations were at a healthy number; there were an estimated 500,000 rhinos living throughout Africa and Asia. However, as demand for rhino horn has gone up, the worldwide population of the animals has gone down. There are currently only five species of rhino left on Earth, and all of them are classified as a “threatened species” according to the IUCN Redlist. Three out of those five species are further classified as “critically endangered”. For a while there was an effort made by activists to create a synthetic rhino horn for those who wanted to collect them. Unfortunately, they found that it was only a matter of time before those who bought the synthetic horn would want to trade up for the real thing. After this failure, activists have decided to focus their energies on catching poachers in the act. The goal of the Protect project is to provide a strong deterrent for poachers who would kill rhinos for their horns. They plan on accomplishing this by putting video cameras, GPS trackers, and heart-rate sensors inside the horns of living rhinos. The system is known as Protect RAPID (Real-time Anti-Poaching Intelligence Device). The whle system was developed at the University of Chester by biologist Dr. Paul O’Donoghue. He created a tracker and heart rate monitor that could be implanted inside the horns of living rhinos. Along with the camera, these pieces of technology are able to transmit health and wellness information to a central control center. If the rhino is attacked by poachers and its heart rate stops, which it would if the poachers were intent on getting the horn, then a signal would be sent to a security team that could respond to the rhino’s location. It is estimated that the team could be on-site within minutes of getting a distress signal in order to catch the poachers before they could get away. If there are difficulties with catching the offenders, then the camera footage can reveal what they looked like. As of right now, there aren’t many anti-poaching agencies doing this type of work. The patrol area for rhino habitats is too large, so conviction rates for poachers have been relatively low. The Protect system can go a long way toward rectifying this and keeping rhinos safe. Researchers have already completed a proof of concept study, but they are still working on refining prototypes for the new technologies. The first of these prototypes should be available within months. If they are successful, then researchers hope to create other versions of the technologies for endangered species such as tigers and elephants. A fully staffed control center is scheduled to be completed sometime in the early part of next year. Schools churn out educated citizens (we hope) but they also churn out a lot of waste, including polystyrene food containers from the cafeteria that clutter up landfills. But now a coalition of urban school districts is taking steps to dump the polystyrene -- or Styrofoam, which is the best-known brand of polystyrene -- replacing it with disposable plates made of compostable material. The six large school districts that make up the Urban School Food Alliance say they will remove 225 million polystyrene trays a year from landfills by creating the new compostable round plate for cafeterias. The alliance is made up of school disrticts including New York City, Los Angeles, Chicago, Miami-Dade, Dallas and Orlando. Why can't it be recycled? Technically, polystyrene can be recycled but as the American Chemical Society explains in this video, processing it is just too expensive. Food and nutrition directors in the aliance specified the round shape to allow students to eat their food off plates like they do at home, replacing the institutional rectangular lunch tray. The districts in the alliance collectively procure more than $550 million in food and supplies annually to serve more than 2.9 million students enrolled in their schools. The American-made molded fiber compostable round plate is produced from pre-consumer recycled newsprint. It is FDA-approved and manufactured in Maine by Huhtamaki North America. This summer, United Airlines is flying high with a new type of fuel. They are going to be using fuel that is made from farm animal manure and fats. 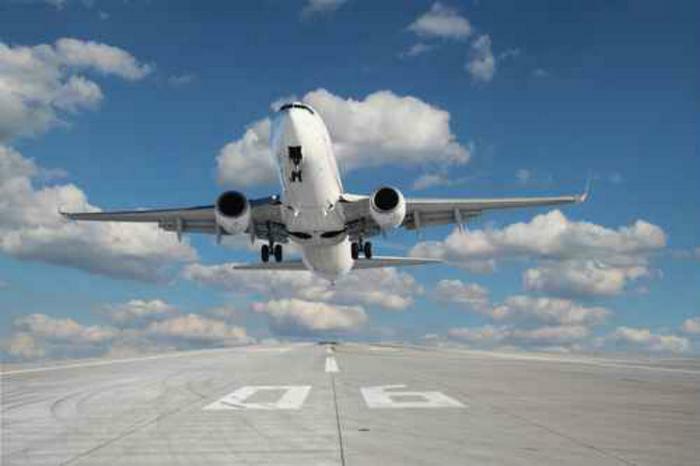 The effort is an attempt to curb the greenhouse gas emissions produced by burning jet fuel in commercial aircraft. Conventional fossil fuels, which airlines have utilized for many years, have been proven to be bad for the environment because they release large amounts of new carbon into the atmosphere. Biofuels are a much better alternative because farm waste and fats have already been exposed to the atmosphere and have absorbed carbon during their lifetime. So, when they are burned as a fuel source, no extra carbon is introduced into the atmosphere. The first flight powered by animal waste will be pretty short; it will take off from Los Angeles and land in San Francisco. The airline company plans to make several of these short-range flights over the next two weeks to test the effectiveness of the new fuel source. All of these flights will be using about 30 percent biofuel. They will be acquiring it from a California-based company named AltAir fuels. The commitment doesn’t stop there. United just announced that they made a $30 million investment in Fulcrum BioEnergy, one of the largest makers of aviation biofuels. According to the New York Times, this is the largest investment in alternative fuels ever made by a commercial airline. United is hoping to integrate biofuels into its entire fleet of planes soon. United officials said Tuesday that they expect to begin receiving fuel from Fulcrum BioEnercy Inc. in 2018. They hope to be acquiring 90 million gallons a year by 2021. United’s managing director for environmental affairs, Angela Foster-Rice, said the airline has greatly reduced emissions by buying more fuel-efficient planes, and it seeks to take the next step by expanding use of alternative fuels. Biofuels have been proven to be comparable to jet fuel prices, and with United’s commitment to the energy source, this could spell good things for biofuel companies. Fulcrum is planning on building five plants near United hub airports to support their fuel needs. It might have been enough that this year marked the the 40th anniversary of the movie “Jaws”, but then there was a rash of shark attacks along North Carolina's Outer Banks. All of a sudden long-dormant fear of an ocean predator was top of mind among the public. It wasn't just “Shark Week” on a popular cable TV channel – it was shark summer. All of this makes conservationists uncomfortable and worried that the U.S. is about to declare war on sharks. That would be a mistake, they say. "We don't necessarily have to see conservation and public safety as at odds with each other,” said Fiorenza Micheli, a Stanford researcher and co-author of a new study tracing the history of shark attacks in California. “This is also true of coastal economies. People can coexist with predators." Micheli and fellow researcher Francesco Ferretti say they found that the risk of a great white shark attack for individual ocean users in California has fallen by over 91% since 1950. To arrive at that figure they looked at the number of reported great white shark attacks that caused injuries on the California coast from 1950 to 2013, as recorded by the Global Shark Attack File. During that time there were 86 attacks, with 13 of them being fatal. They weighted the numbers with information on coastal population growth and seasonal and weekly beach-going, surfing, scuba diving, abalone diving, and swimming. The number of attacks has actually increased over the years, but the scientists attribute that to the fact that there are a lot more people in the ocean – not necessarily more sharks. For example, they argue that three times as many people live in coastal California now than in 1950. The 7,000 surfers in 1950 became 872,000 by 2013. Certified scuba divers grew from about 2,000 at the beginning of the 1960s to about 408,000 in 2013. The study also looks at when and where shark attacks take place, offering guidance for swimmers who want to avoid them. "Doing this kind of analyses can inform us on hot spots and cold spots for shark activity in time and space that we can use to make informed decisions and give people a way to stay safe while they are enjoying the ocean,"
For example, in the fall there is a higher chance of finding big white sharks on the California coast than in the spring, when they migrate to Hawaii, said Ferretti. He points out that the chance of a shark attack increases at night. The authors say that in Mendocino County, Calif., it is 24 times safer to surf in March than in October and November. If surfers choose the coast between Los Angeles and San Diego in March, they can be 1,566 times safer than they would be during the fall months in Mendocino. Meanwhile, the reason for eight shark attacks along North Carolina's beaches this summer remains a mystery. According to National Geographic, warmer water and ocean currents may have attracted smaller fish, which in turn attracted sharks. But the magazine states that it's probably due to more humans being in the water. In North Carolina, evidence is piling up that suggests there are also a lot more sharks in the water. Charter boat captains interviewed by the Richmond Times-Dispatch say there is now an over-population of sharks off the Carolina coast that has been building for years. Some tuna fishermen say they are only able to boat half their catches before they are at least partially eaten by sharks. 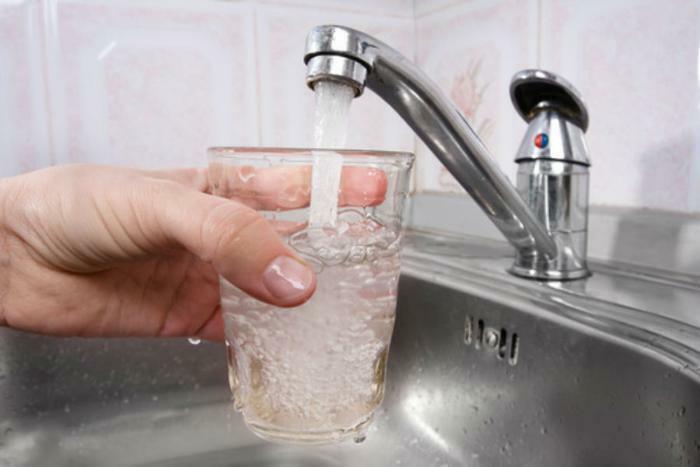 New legislation seeks to upgrade infrastructure of water systems across the U.S. Depending on where you live in the United States, your water bill can vary greatly. Cities and larger communities, for example, have water infrastructure in place that can deliver water to their citizens in an effective manner; this makes their water prices more manageable. This contrasts greatly with people in rural areas; because people are more spread out, building and maintaining a water system is much more expensive. This increased cost affects millions of people across the country. Luckily, a solution to this problem has been introduced to the House of Representatives by Rep. Richard Hanna (R-NY) and Rep. Jim Cooper (D-TN). Their bill is called the “Water Systems Cost Savings Act”, a proposal that aims to provide rural areas with cost-effective alternatives to accessing clean, high quality water. By adding options like water-well systems to areas that don’t have them, Hanna and Cooper believe that their bill will reduce federal, state, and local costs for providing water services. One of the great things about the bill is that it will not only help citizens who benefit from the upgraded infrastructure. With its passing, all citizens will see their tax dollars going towards other projects that will help their communities. “This bill will encourage cost-effective alternatives that will save taxpayer dollars and free up resources to reduce the growing backlog of clean water infrastructure needs,” said Hanna. A recent survey given by the Environmental Protection Agency (EPA) found that funding for water infrastructure in smaller communities was down $64 billion across the country. The new proposal intends to give programs to agencies like the EPA and USDA (United States Department of Agriculture) that will inform smaller communities about more cost-efficient water options. Food waste is an issue getting increasing attention, so it stands to reason that a new report from the Johns Hopkins Center for a Livable Future (CLF) will raise a few eyebrows. The report maintains that as much as 47% of the U.S. seafood supply is lost each year, never making it to consumers' tables. The research suggests the biggest reason is consumer waste. If true, it's a troubling development, coming at a time when seafood sources are under pressure and consumers are being urged to eat more fish, due to its health benefits. “If we’re told to eat significantly more seafood but the supply is severely threatened, it is critical and urgent to reduce waste of seafood,” said study leader David Love, an assistant scientist at the Johns Hopkins Bloomberg School of Public Health. The study looked at seafood waste by focusing on the amount of seafood lost annually at each stage of the food supply chain and at the consumer level. By researchers' estimates, the edible supply of fish starts at 4.7 billion pounds per year. They say some of that fish is wasted as it moves through the supply chain from hook or net to plate. The study concludes that 2.3 billion pounds of seafood gets wasted, and that much of that waste could be eliminated by changing consumer behavior. In fact, the researchers contend that consumers throw out 1.3 million pounds of edible seafood each year. The 2010 U.S. Dietary Guidelines recommended increasing seafood consumption to eight ounces per person per week and consuming a variety of seafood in place of some meat and poultry. Yet achieving those levels would require doubling the U.S. seafood supply, the researchers say, or eliminating nearly all seafood waste. Earlier this month, the Obama administration announced the nation's first-ever goals for cutting food waste nationwide, setting a target of 50% by 2030. Dana Gunders, Staff Scientist at the Natural Resources Defense Council and author of the Waste-Free Kitchen Handbook, said it was an historic step. But Gunders said the government can’t accomplish that goal alone. It's going to take help from everyone -- from restaurants to grocery stores to household shoppers. 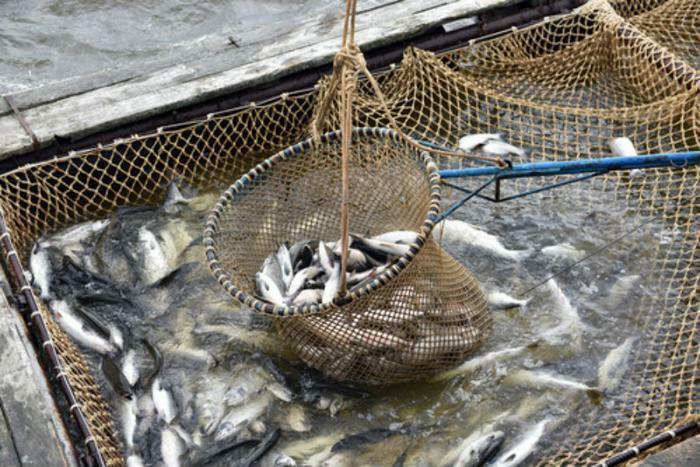 The Johns Hopkins researchers urge a stronger focus on prevention strategies involving governments, businesses, and consumers to reduce seafood loss and create a more efficient and sustainable seafood system. The United States population is continuing to grow over time, much like the population of the rest of the world. As the number of people in the country increases, it is imperative that we make sure that we use our resources wisely. Energy, in particular, is a finite resource in many ways. Using non-renewable forms of it for too long can put us in a very difficult position going into the future. In order to reduce our energy consumption, we have to come up with many clever ways to make sure that we are getting 'the most bang for our buck”. 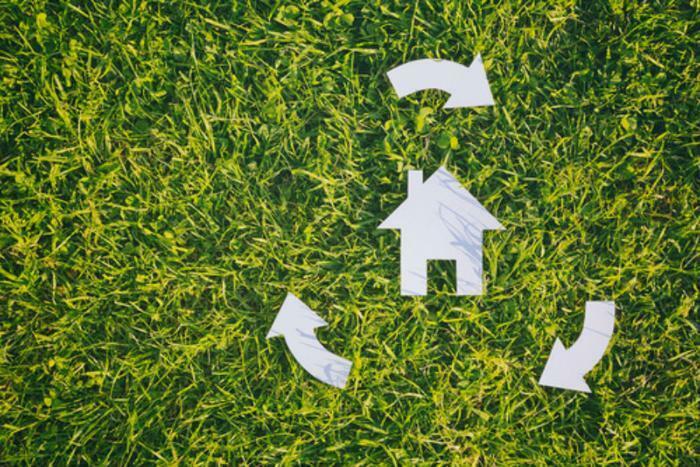 In a recent article, we at ConsumerAffairs talked about how green buildings – those that use energy at a lower rate – are able to help the environment and save money for those that own them. Researchers at SaveOnEnergy.com have taken this research a step further, though. In a recent study, they found which companies and entities were taking advantage of green technology, as well as how much they could expect to save by going green. For the study, the researchers focused on companies and entities that met the requirements for Energy star certifications between 2001 and 2014. Energy Star is a program initiated by the EPA that provides standards for buildings so that they can lower their energy consumption. Companies that are able to meet these standards are awarded with an Energy Star certification that lasts for one year. Companies are able to re-qualify each year, provided that their buildings continue to meet the standards. Since its inception, Energy Star has helped to reduce carbon dioxide emissions by an estimated 2.1 billion metric tons. 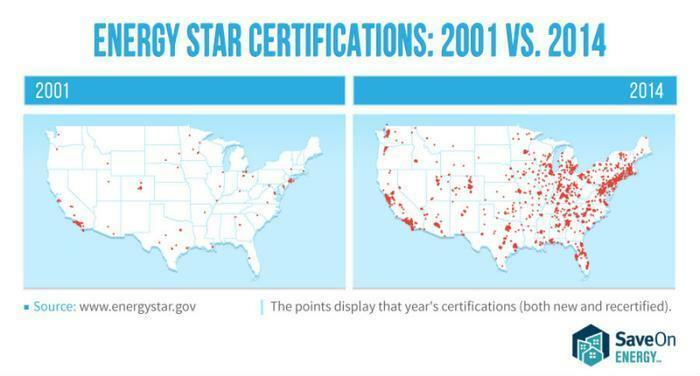 From 2001 to 2014, the number of Energy Star certifications has continued to grow. The graphic below shows how the number of certified Energy Star buildings have increased and expanded to different areas of the U.S. The researchers say that the number of certified buildings is now over 26,000, with more being certified every day. While many companies make up a good share of green buildings with their offices (32%), they are not the only ones taking advantage of green technology. The researchers found that K-12 schools also make up 32% of green buildings in the country. This is followed by retail stores with 17%, supermarkets and grocery stores with 10%, and other smaller entities with 9%. Some may be surprised by the number of school districts that have invested in green buildings, but the researchers point out that it just makes good economic sense. By lowering energy consumption, schools are able to free up money to pay for other expenses, like maintenance, teacher salaries, and extracurricular programs. The amount of money that can be saved cannot be understated. A technical report from the Los Angeles Unified School District showed that a 1% reduction in energy costs would allow them to hire up to 25 new teachers. Perhaps not coincidentally, this same school district has the highest number of green schools in the U.S., with 142 total buildings. In other states, many school districts are taking even better advantage of green technology. In Gwinnett County, Georgia, 93% of all schools meet the criteria for an Energy Star certification. They hold the second spot on the list of districts with the most number of green schools, with 126 in total. Retail stores covered approximately 17% of all green buildings during the research period, many of which are well-known companies. Target was the retailer with the most number of green buildings, with 1,211 in all. Following them was Kohl's with 978, JCPenney with 648, Staples with 544, and Sears with 532. While supermarkets and grocery stores have fewer green buildings (covering 10% of all green buildings during the research period), many of them have received special recognition from the EPA. In addition to being certified by Energy Star, these establishments work hard towards other goals, such as eliminating food waste, supporting sustainability, and improving efficiency. If all of the positive statistics about green buildings weren't enough to get companies to certify, then they can always look at the potentially huge financial savings that go along with it. The EPA estimates that, over a three-year period, buildings who met Energy Star certification standards had yearly energy savings of 2.4%. While that number may seem marginal to some, rest assured that it is not. In their study, the researchers included some calculations that can put that number in perspective. At 2.4%, a 500,000 square foot office building had the potential to save roughly $120,000 per year by having their certification. For an 800,000 square foot school district, yearly savings were estimated to be near $140,000. A medium box retailer with 500 stores could expect to save $2.5 million every year, and a full-service hotel chain with 100 properties would save $4.1 million every year. Those numbers are nothing to scoff at by anyone's standards. With all of the benefits that green technology can provide, one can only hope that they continue to flourish in the U.S. The researchers hope that their work can provide positive examples of what green technology is capable of. They applaud the companies who have taken steps thus far in reducing their energy consumption. “We created this project to shed light on how Energy Star certification can benefit the participating businesses, the greater community, and the environment as a whole. We also wanted to highlight the companies and organizations that are doing their part with the hopes that more entities will be inspired to commit to greater energy efficiency,” said Amanda Milligan, the study's project manager. For more information, you can read the team's full study here. Real estate professionals will tell you that some home improvements will add value to your home. Others, not so much. For years it was an article of faith that adding a deck or updating a kitchen would pay off when it came time to sell. Putting in a swimming pool, on the other hand, didn't add a premium. Lately, something else has helped sell a house. The National Association of Realtors (NAR) noted in 2013 that going green seemed to make a house more desirable. It said a survey found that buyers placed a high importance on energy efficiency when searching for a home. Things that affect monthly energy costs were frequently cited as the most important. Some 39% of home buyers said heating and cooling costs were the most important green feature of a home, followed by energy efficient appliances and lighting, at 24% each. New research by the U.S. Department of Energy's Lawrence Berkeley National Laboratory and a home appraisal expert found supporting evidence, suggesting that installing photvoltaic (PV) solar arrays, capable of generating electricity, adds a premium when a home is sold. In other words, a buyer is willing to pay extra for a home that produces some of its electricity from the sun. The importance of green features also varies regionally, with northeastern and southern buyers placing more importance on a home’s heating and cooling costs in their decision making process. The researchers engaged a team of seven appraisers from across six states to determine the value that PV systems added to single-family homes, using the industry-standard paired-sales valuation technique, which compares recent sales of comparable homes to estimate the premium buyers would pay for PV. The new findings pretty much were in line with a 2013 Berkeley Lab study that found buyers were willing to pay $15,000 more for a home with the average-size solar PV system, around 3.6 kilowatts. "These results will benefit appraisers, real estate agents, and mortgage lenders who increasingly encounter PV homes and need to understand the factors that contribute to, and detract from, market value," said study co-author Ben Hoen, a researcher in the Energy Technologies Area of Berkeley Lab. The study found a lot of variables, since what buyers were willing to pay often hinged on the underlying system and market characteristics. Factors influencing the premium include the size of the system, the available incentives and installed prices at the time of sale, and the underlying retail electricity rates. 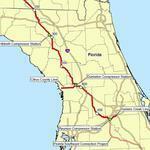 The appraisers said any formula to determine added value needs to take all these factors into consideration. 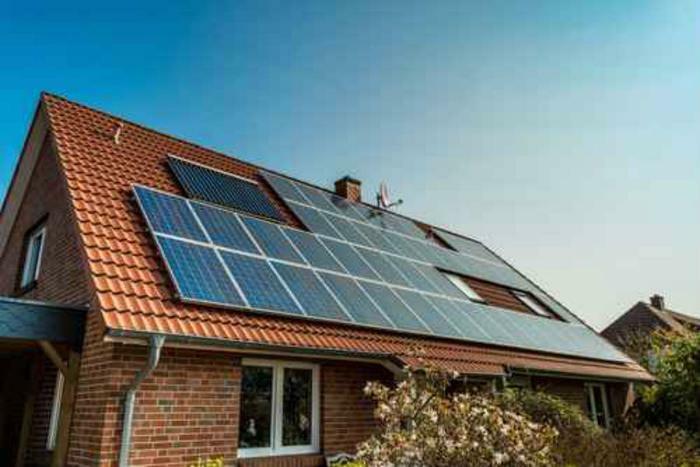 PV systems are becoming more of a factor in the existing home market. Berkeley Labs says there were more than a half million U.S. PV home systems in 2014, underscoring the need for new, reliable, and consistent valuation options. The Flint, Michigan water crisis – in which the city's water supply has been found to contain unsafe amounts of lead – has consumers across the country on edge. Now, the water coming out of the tap everywhere is greeted with a more skeptical eye. The New York Times has a report on other jurisdictions that have experienced water issues that haven't generated the news coverage Flint has. For example, lead levels rose in Sebring, Ohio's water supply last August after the town stopped adding a chemical to keep lead pipes from corroding. Even the nation's capital experienced a jump in lead levels in 2001 after the city changed some of its water purification procedures. Meanwhile, states and localities are on high alert to find problems before they make headlines. Acting New Jersey Attorney General John Hoffman has announced the sentencing of a former licensed operator of the New Brunswick and Milltown public water supplies. Hoffman said Edward O'Rourke was sentenced to three years in prison after he was convicted of falsifying water purity records. In pleading guilty to the charges, O’Rourke admitted that he intentionally submitted false water purity testing data between April 2010 and December 2012 to the New Jersey Department of Environmental Protection in order to cover up the fact that he had failed to properly oversee the testing of drinking water samples. While there were discrepancies that did not meet water purity standards, the investigation did not reveal any evidence that water distributed to the public ever contained coliform bacteria. In Michigan, meanwhile, state Attorney General Bill Schuette is concerned that Flint residents have something else to worry about – scammers. He says a high profile crisis like this brings con artists out of the woodwork. Among the scams he's worried about is one in which scammers pretend to be official workers, gain entry to residents' homes, and then steal things of value – including sensitive personal information. He also warns people in Michigan – and around the country – to be dubious of charity solicitations on behalf of Flint residents. He says it's generally better to contact a charity directly to ensure its true identity. You probably have a few items in your home that you’re not using. In fact, you probably have over $7,000 worth of unused items in your home, says John Atcheson, CEO of an app called Stuffstr. What if, instead of taking those items to the dump or gathering them up to take to a thrift store, you could get them into the hands of someone who could use them? That’s the idea behind Stuffstr, an app intended to “increase the use and recirculation of the things we buy and help people reduce clutter and keep things out of landfills." In addition to helping you declutter your home, Stuffstr can help ensure your items end up in the best possible place. "The average person throws away 70 pounds of clothing annually. It’s often easier to just throw things away,” Atcheson said, adding that we use 80% of our stuff less than once a month. While thrift stores such as Goodwill may be an easy way for consumers to get rid of items en masse, these stores aren't always the proper second home for certain items. The app aims to make sure your items end up somewhere where they are needed. After inputting your items (either manually or by inputting emailed receipts), the app will show you where your donation should go based on what it is. For instance, Stuffstr might tell you that your item is best suited for a manufacturer recycling program or a used electronics collection service. Or perhaps it should go to a friend or an organization such as Habitat for Humanity. Additionally, Stuffstr will give you directions to its recommended donation spots and let you know if there are pickup options available. In the future, the Stuffstr team hopes to get retailers involved in the sustainability movement. “Longer-term, our goal is to help retailers move toward longer-lasting products and new business models that can improve both their bottom lines and our environment,” Atcheson told SustainableBrands. Currently, the app is only available for iOS. The federal government is clearing hurdles for a genetically modified eucalyptus tree to flourish. At some point in the near future, a company called ArborGen envisions an American south blanketed with eucalyptus trees genetically engineered to survive the cold winter.